A charming cupola completes the farmhouse charm of this detached garage apartment. The main level offers one garage bay, a generous kitchen space and an open living/dining area. 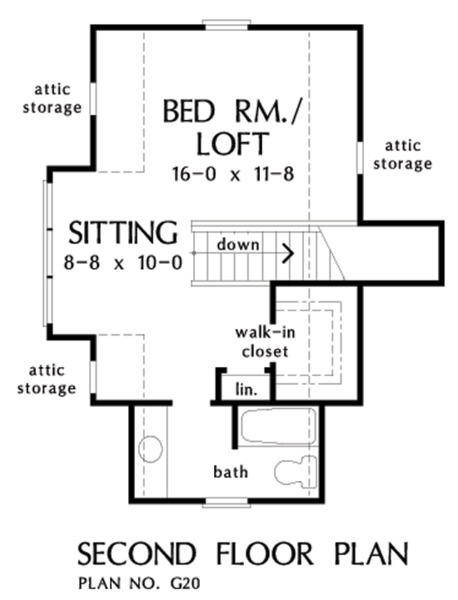 The second floor contains an oversized bedroom with sitting area, walk-in closet, and a full bath. 1st Floor: 373 Sq. 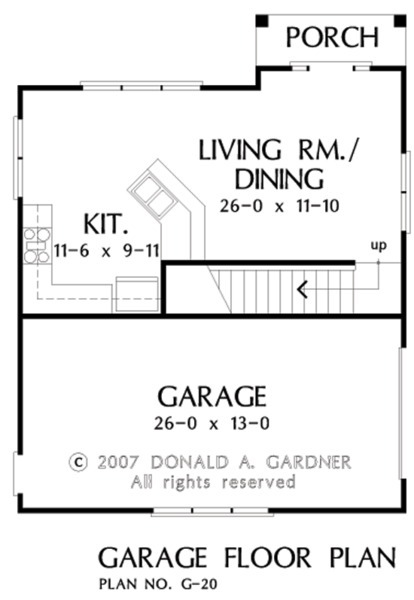 Ft.
House Dimensions: 26' 8" x 34' 2"
Bedroom #1 (Vaulted): 16' 0" x 11' 8" x 8' 0"
Dining Room : 26' 0" x 11' 10" x 9' 0"
Garage : 26' 0" x 13' 0" x 0' 0"
Kitchen : 11' 6" x 9' 11" x 9' 0"
Porch - Front : 10' 4" x 3' 6" x 0' 0"
Sitting Area : 8' 8" x 10' 0" x 8' 0"